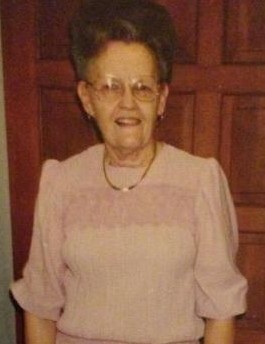 Jackie L. (Leach) Hassler, born March 27, 1927 passed away April 7, 2019 at LaFollette Nursing Home where she worked as a CNA for 20 years. She is preceded in death by husband Thomas “Jack” Hassler, daughter Anita Sue Hassler Carden, infant daughter Barbara and 2 infant grandsons, father Lewis Leach, mother Tennie Teague, step-mother Laura Ridings Leach, step-father Bill Teague, sister Jimmie White, Murriel Hensley, Billie June Hamblin, and Ellen Craig, brothers Kenneth J. Leach, Jerry Smith, and 3 infant brothers Julius, Ernest, and Lewis. She is survived by daughter Shelia Lay & husband John, granddaughters Amanda Riggs & husband Lee, Amy Lay, Cassandra Carden Laskowski & husband James. Great grandchildren Chloe, Caiden, Ashton, Harper, Julli, and Jameson. Brother Joe Leach of LaFollette, Curt Teague & wife Geneva of Eagan, Benny Teague & wife Jennifer of LaFollette, sisters Ann Allen of Eagan, Johnnie Lawson & husband Joe of Sidney, Ohio, Elizabeth Albertini, and Jane Miller, both of Vandalia, Ohio. Visitation will be 6-8 PM Wednesday, April 10, 2019 in the chapel of Martin Wilson Funeral Home followed by funeral service at 8 PM with Brother David Shepherd and Rev. Pat Ayers officiating. Friends and family will meet 10:30 AM Thursday, April 11, 2019 at Martin Wilson Funeral Home to go in procession to Woodlawn cemetery for 11 AM interment.